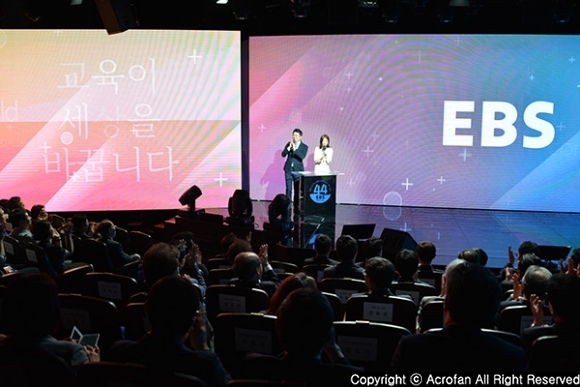 With a theme of ‘Building Partnerships in Internet Computing Ecosystems,’ the exhibition spotlights IoT application, innovation, startup, business solution, and gaming. 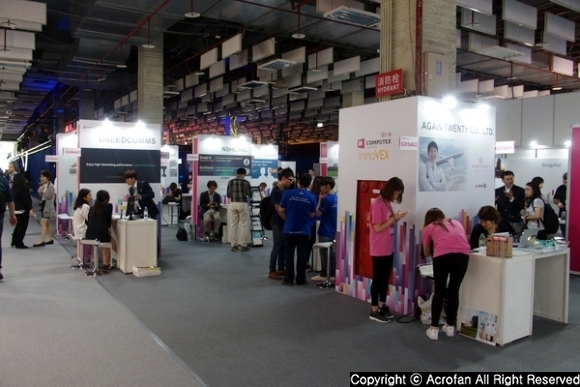 Among them, ‘InnoVEX’ exhibition in the 3 hall at TWTC(Taipei World Trade Center) is specialized to startup. 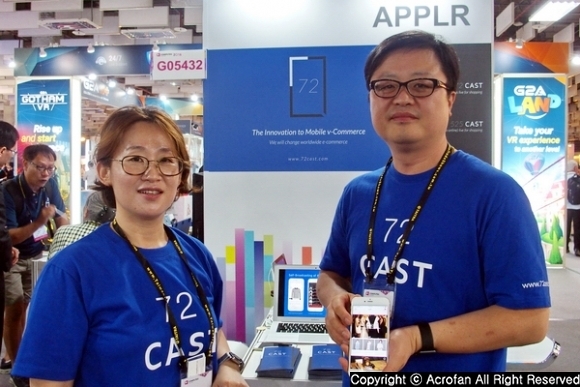 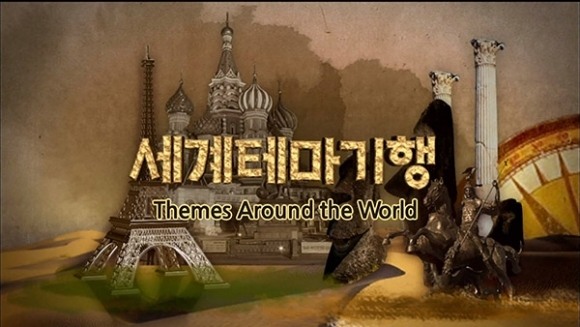 At ‘KOTRA Pavilion’ in the exhibition, Korean companies armed with various ideas are presenting creative products and services. 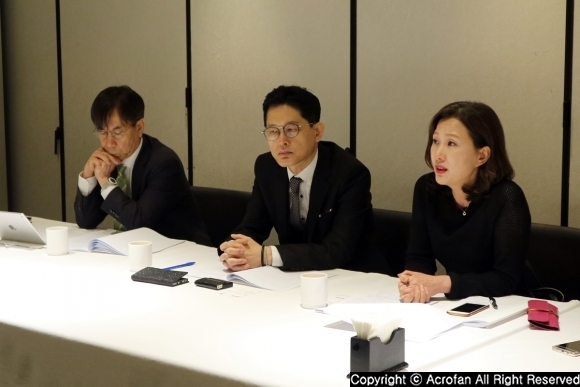 The officials participated in ‘KOTRA Pavilion’ spent busy time talking about the products with visitors and other officials. 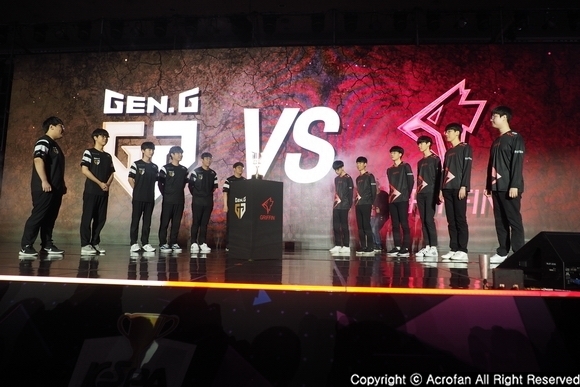 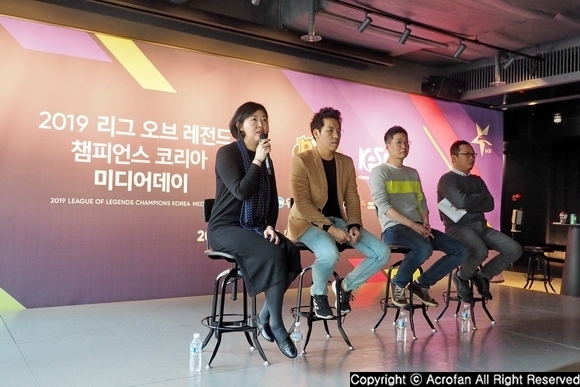 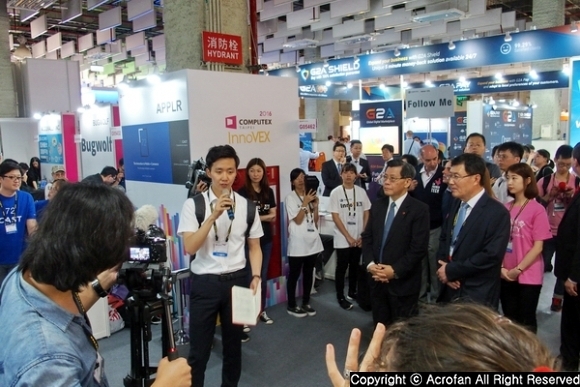 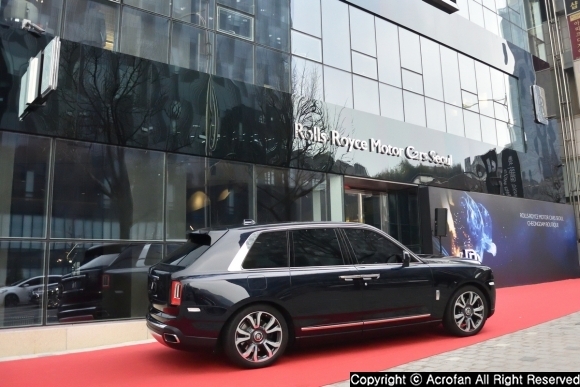 During visiting various booths in the exhibition hall of ‘InnoVEX,’ the important figures visited ‘KOTRA Pavilion,’ listened to explanation from KOTRA employees and officials, and showed interests by asking questions about the product to the officials. 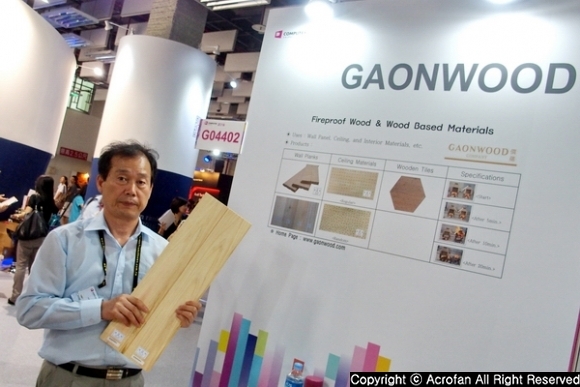 ▲ Gaonwood presented environment-friendly fireproof wood constructions. 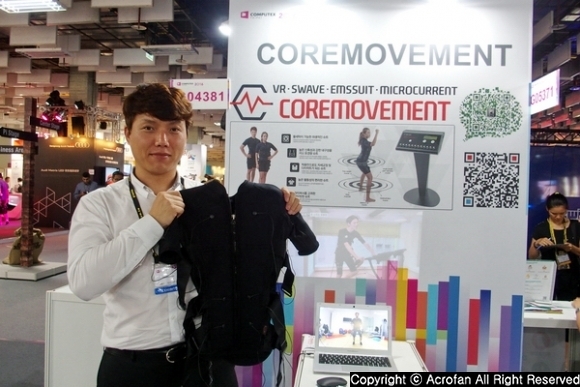 ▲ Core Movement presented ‘EMS Suit,’ which can be used at exercise and VR through electrostimulation. 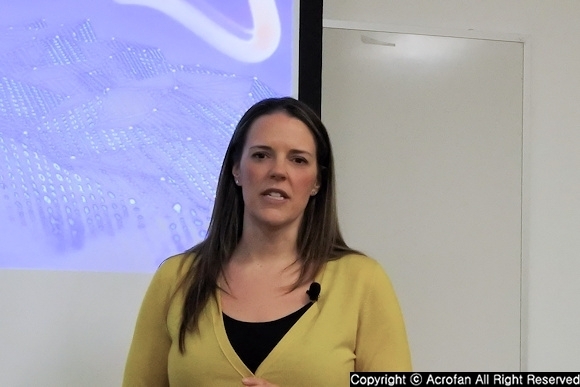 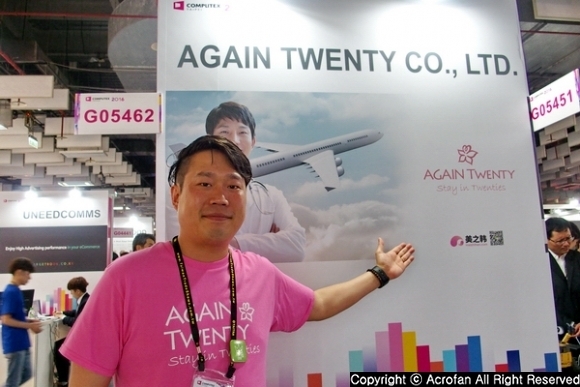 ▲ Again Twenty presented a user-centered medical tour O2O service. 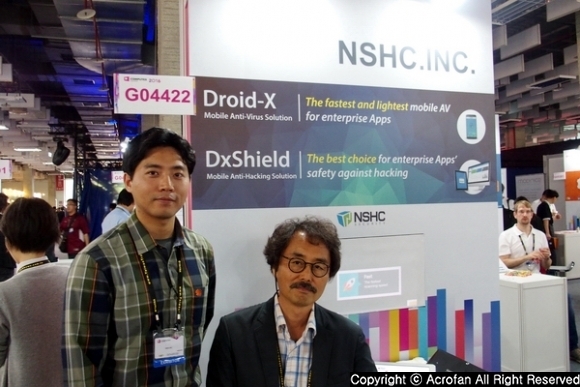 ▲ NSHC presented an anti-virus solution ‘Droid-X’ and anti-hacking solution ‘DxShield’ for smartphone. 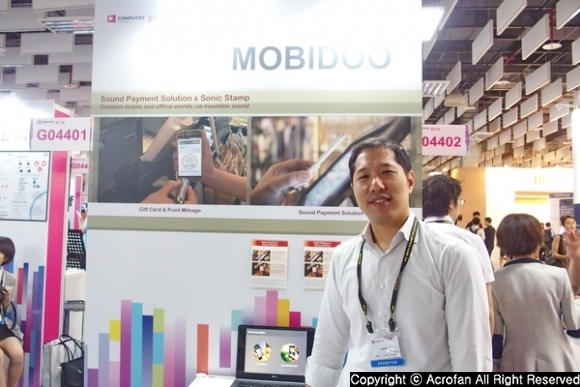 ▲ Mobidoo presented sound payment solution and sonic stamp. 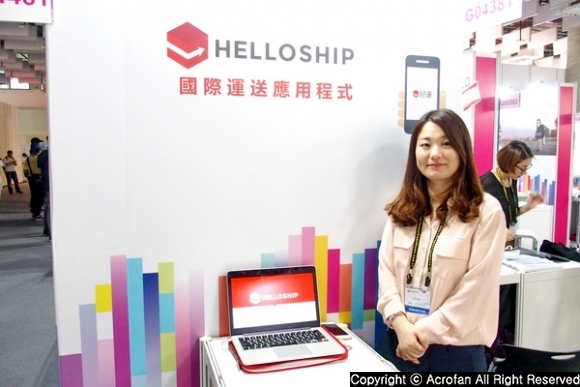 ▲ Helloship presented overseas e-commerce delivery agency service.